We are into the final week of April and what a month it has been- Rebirth has certainly been the theme, from my perspective on this wonderful world of ours! As I said before, this has been a time of pushing energies- energies that have caused us to question our every decision, to question our path, to feel restless; pushing us to feel and/or act erratically because of the discomfort this restlessness brings. If we just shift our perspective though, we can see that these energies have been a push to commit to our true path. To realise what is truly important to us and showing us where we are not holding to our truth. It is encouraging- demanding- us to let go of negative behaviours, negative attitudes, negative relationships, negative patterns…it is pushing us to free ourselves from our self-imposed limitations. To allow ourselves to be reborn in our true image. In order for this positive perspective to flourish, we need to make sure we are using positive language to ourselves and others. We need to take time for reflection and solitude so we can hear our true voice speak. We need to reconnect with nature as that allows us to reconnect with our true selves. We need to make sure we are surrounding ourselves with people who encourage our positive living and to let go of those that act with the intent to hold us back. We need to have faith in ourselves and our purpose here on earth. And we need to live it in joy and with courage. I hope you are all managing the constantly shifting ideas and thoughts, and are managing to stay focussed and on course. I hope you are feeling excited for what is to come- who knows who any of us will be reborn as tomorrow! 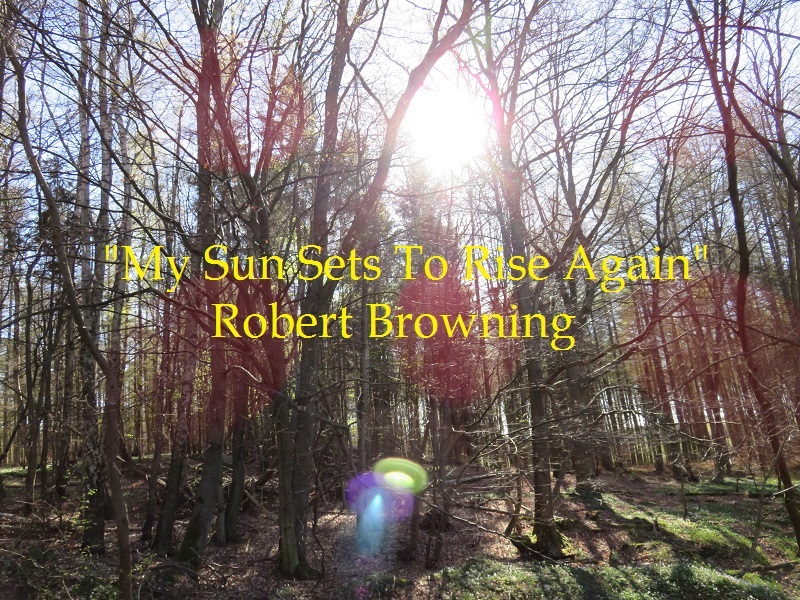 This entry was posted on April 23, 2015 by laura kilty in Inspiration, Thoughts and tagged April, Break Patterns, Courage, Faith, Flourish, Focus, growth, Intimations of Immortality, joy, love for self, Rebirth, Restlessness, Robert Browning, self-belief, Truth, William Wordsworth.